Free Upgrade ON FILTERS, PUMPS AND MORE! KIDS ARE READY TO DIVE IN, ARE YOU? ASK US ABOUT OUR GREEN TO CLEAN & ALGAE FREE GUARANTEE! We help keep your pool and hot tub / spa healthy and clean so you can enjoy it whenever you feel like taking a dip. Our fully-trained pool maintenance technicians have the expertise to assist you with all your cleaning needs. Which Pool Cover is Right for You? Having the right pool cover can save you time and money. How much you are willing to spend, how you want it to look, the shape of your pool, and whether your pool is new or an existing pool, are factors to keep in mind when making your decision. Depending on what type of pool you have, one of these four types of pool covers is the right one for you. With the extended summer season in full effect, Poolwerx wants you to enjoy your pool for as long as possible! Check out Dan Bradford on CBS Orlando where he talks to News 6 about how to make sure your pool is at its best! Poolwerx, a leading pool service franchise with over 25 years of experience in the pool and spa industry, has been named No. 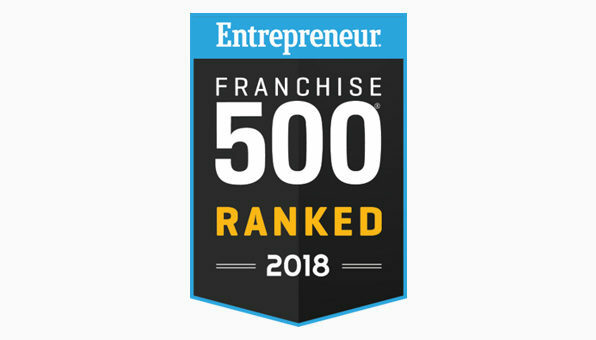 35 on Entrepreneur magazine’s 2018 Top Global Franchises ranking. The list recognizes the top 200 franchises growing both within and outside of the United States. With our ongoing training, consistent support, group purchasing power, extensive marketing programs, and brand power, franchising the Poolwerx way offers you a clear path to business success. Open a new franchise, buy an existing one or convert your business to the Poolwerx brand. We create healthy, safe and fun pool-side memories for families and friends. We also help our Franchise Partners fulfill their family dreams from the business they create. Need a service? Fill in our quick and easy form to lodge your request today!